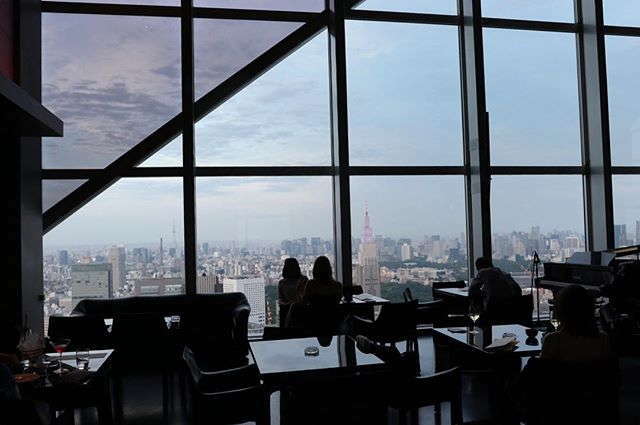 One of the most magnificent properties in Tokyo, the Park Hyatt hovers over Shinjuku boasting some of the best views, finest restaurants, incredible bars, and stellar service. This chichi spot is home to visiting dignitaries and A-list celebrities alike and movie buffs might recognize it from Sofia Coppola’s Lost in Translation. Refined and remarkable, this high-priced property just might be worth every penny. Spacious accommodations provide guests with insane city views and are decorated with greenish carpets and bed-frames. Complimentary amenities include water, tea, Nespresso machines, and special scented candles from Kyoto. As a guest of the hotel, you don’t have to pay the cover charge for the famed New York Bar. You can also get your shoes shined for free! Giant bathrooms have checked marble floors, Toto toilets, sunken tubs, and separate showers. Mirrors in all of the rooms have inlaid 15-inch TVs as well. Candles and bath salts are complimentary as are the lux Aesop bath products. 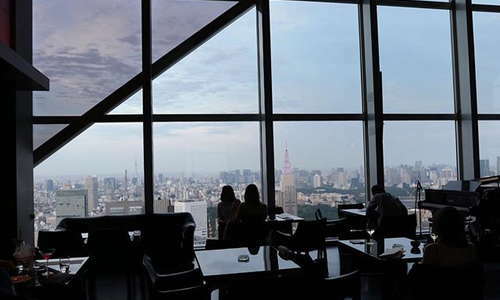 The lobby is on the 41st floor of the hotel and offers some of the best views in Tokyo. Looking up, guests will notice ornate geometric skylights that bathe the room in warm glows while below is a bamboo garden that offers a little piece of serenity. 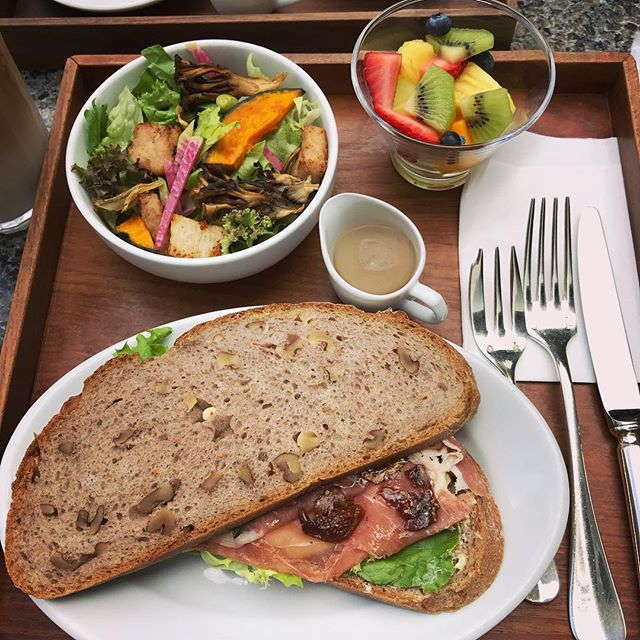 The Lobby Lounge is known for its afternoon tea and doesn’t disappoint – minus the price. YOU SHOULD KNOW If you order water at the lounge and don’t specify ‘tap’ the bottle will run you 1,800 Yen. A coke is around 1,000 Yen. It ain’t cheap here. 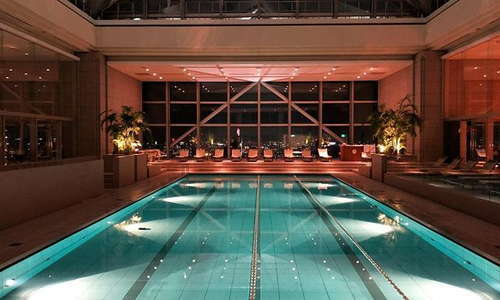 Like everywhere else in the hotel, the stunning indoor pool gives guests endless views – here you’ll see Mt. Fuji. There’s a poolside menu offering drinks and snacks and there are occasional classes on offer like yoga that also happen poolside. 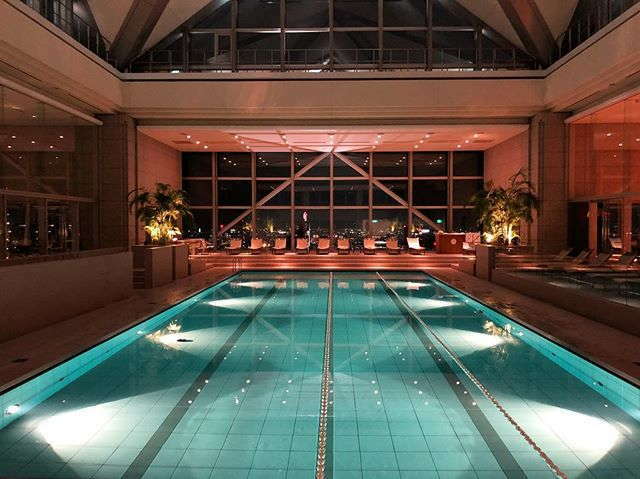 While the spa is exceptional, to use the facilities will run you 4,320 Yen. Besides the seven treatment rooms offering all variety of massage, the locker rooms feature huge onsen-style hot and cold baths in addition to steam and sauna facilities. There’s also a large lounge space where you can simply chill. Every Wednesday and Saturday night, the spa offers a free Good Night Sleep Stretch. The yoga techniques and warm herbal teas are designed to put you right out. The gym and aerobics studio gives guests ample reasons to work out. Life Fitness machines and free weights are available for hard workouts while a daily schedule of classes that range from yoga to Pilates will get your heart pumping. If you want to get your workout outside, the hotel offers free bike rentals. 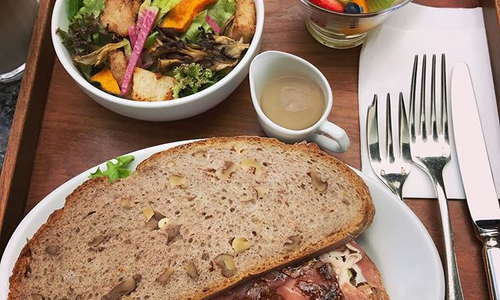 You’ll find any kind of dining you desire at the Park Hyatt (Japanese, French, pastries, etc.) but the true gem of the hotel is at the New York Grill & Bar. 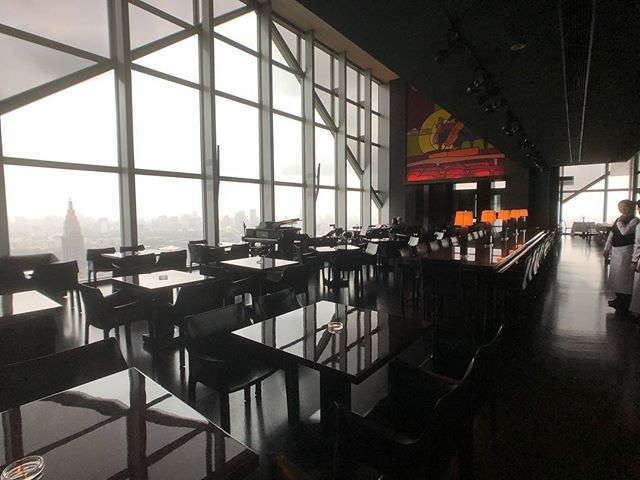 Located on the 52nd floor, the restaurant and bar serves up mouth-watering Wagyu burgers with 360-degree views of the city. The New York Bar, which was so prominently featured in Lost in Translation, has live music every night from 8pm and an enormous menu of one-of-a-kind cocktail creations. 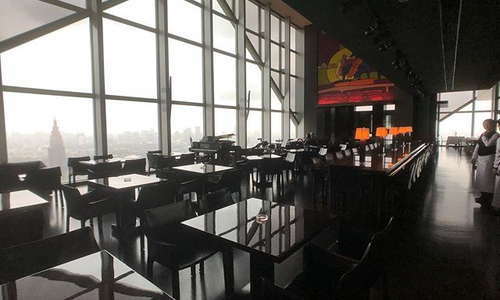 The Peak Bar is known for its Twilight Time happy hour, a buffet and unlimited drinks program for 4,800 Yen. The area is immensely walkable, but the one downside of the hotel’s location is that it’s not remotely close to a subway station. 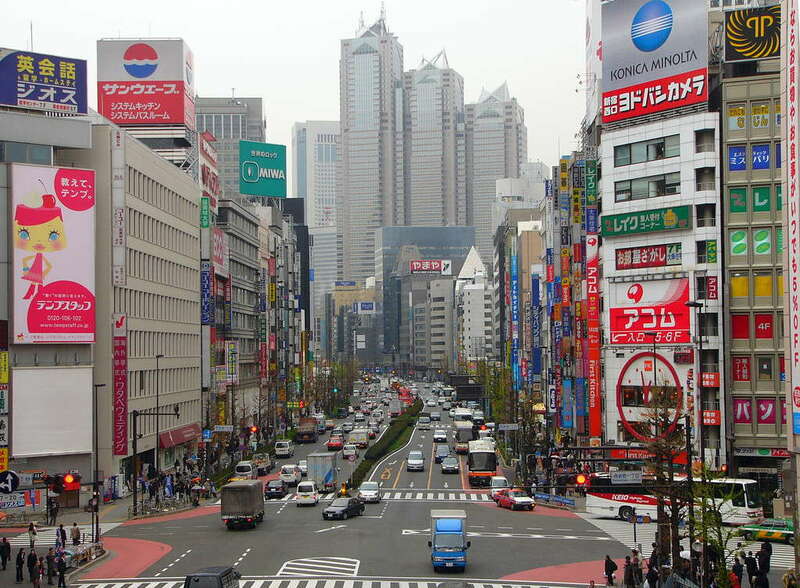 The Hyatt does offer a free shuttle to Shinjuku Station, but it’s kind of a pain. One of the best French restaurants in all of Tokyo is the two-Michelin-star Cuisine(s) Michel Troisgros at sister property Hyatt Regency (10-minute walk). For some kitsch, check out Christon Café Tokyo (10-minute drive) a church-inspired joint with religious paraphernalia. For a unique experience, head into the center of Shinjuku to the Golden Gai (10-minute drive). Here you’ll find six alleyways filled with tiny bars and yakitori joints that are all one-of-a-kind. 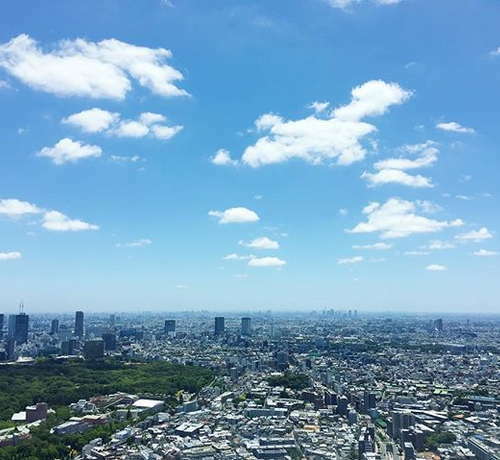 There’s no view quite like the Park Hyatt’s in Tokyo. Towering above the city, this chic hotel offers the height of service and amenities only found at the best 5-star hotels around the world. The one drawback is its inconvenient location to the subway – but there is a free shuttle. Beyond that, the New York Bar is a must-go spot for any movie buff or lovers of craft cocktails and great views. There’s little not to like at this hotel – and you’ll pay peak prices for the privilege.